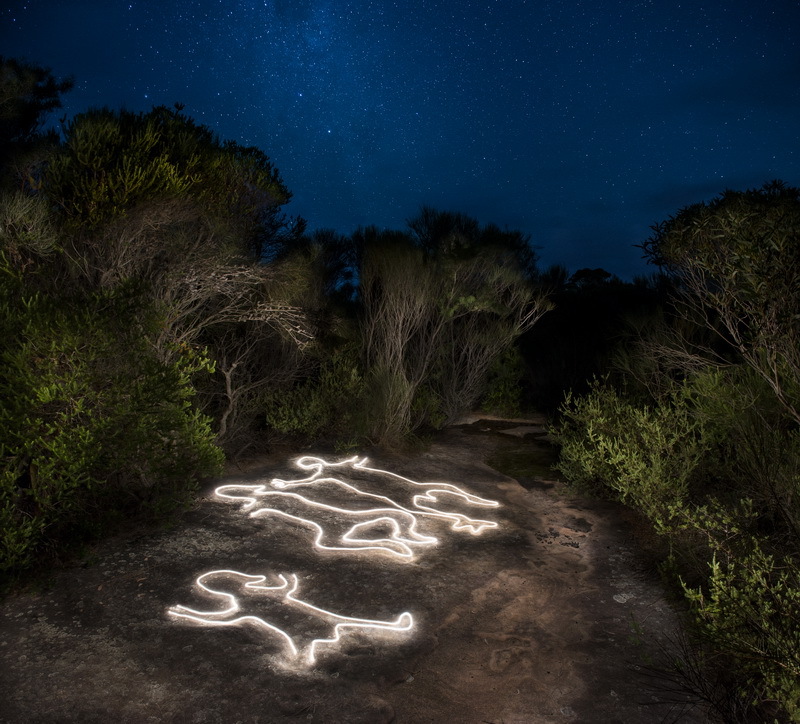 This work acknowledges the Dharawal people, and their invaluable cultural legacy on the land. This site shows pre-European engravings of the Wakilag sisters in the Yuin Black Duck Dreaming. These sisters are just a part of a significant increase ceremony comprised of Dancing Men, the Great Snake and Marloo, and the Old Men Axe site. The process of light painting these engravings is an artistic interpretation and hence the photo does not claim to be an exact historic recording.